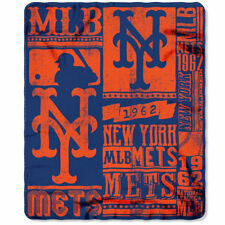 NEW YORK -- The New York Mets heard it all winter -- critics lampooning them, certain the club would hit a wall from the get-go. On Saturday, the Mets got busy hitting balls over the wall. Lucas Duda homered twice and became the first player to take advantage of the pulled-in fences at Citi Field, David Wright also connected and the Mets beat the Atlanta Braves 4-2. R.A. Dickey and a bolstered bullpen stayed in command and the Mets flashed some leather, too, in improving to 2-0 for the first time since 2009. "We realize we have a long way to go, but this locker room is filled with guys who believe they belong here," Mets manager Terry Collins said. Looks good to Dickey, so far. "It was a great community win -- a lot of people chipping in," he said. "It's been a good couple of days. Hopefully, we can maintain this momentum." Wright kept hitting with an opposite-field homer to right-center in the first inning and two singles. Coming off a down year and injury-interrupted spring training, the All-Star had two hits and drove in the only run in Thursday's opener against Atlanta. As for those shortened fences, they're totally fine by Wright. "I don't need it -- Duda does," he said jokingly. "It helped us out today. Nice to see guys have good at-bats and get rewarded for it." Martin Prado hit a two-run homer for Atlanta. His shot in the fifth ended the Braves' longest season-opening shutout streak since 1980 -- this is their first 0-2 start in four years. "We're not panicking," Braves outfielder Jason Heyward said. "The first two games, it hasn't happened." With hot dog wrappers blowing around the field, Duda launched a drive to right-center field in the fourth. The ball flew over the new fence, yet several feet in front of where the old wall still stands. "It plays fair now," Duda said. Duda hit another solo shot run in the seventh off Chad Durbin, a drive to right that would've been a home run in any year. It was Duda's first multihomer game in the majors. Josh Thole lined a go-ahead single in the fifth off well-traveled Livan Hernandez, making his first regular-season relief appearance since his major league debut in 1996. Dickey (1-0) allowed five hits and four walks in six innings. He had trouble getting a good grip for his signature knuckler, a common problem on cooler, windy days. "It might have been a knuckleball that didn't knuckle," he said. Dickey drew attention this spring with his revealing biography, a book in which he wrote about being sexually abused as a boy. He returned the focus to the field with his pitching, plus an alert play at the plate. Michael Bourn led off the game with a double and later tried to score from third when a pitch skittered away from Thole. But the catcher pounced on it and threw a fastball to Dickey, who tagged out the three-time NL stolen base champ. "When we made that play, I knew it was going to be a good one today," Thole said. Braves manager Fredi Gonzalez said Bourn hesitated, but didn't blame the speedster. "You can't fault him on that. The two guys made a play," Gonzalez said. Frank Francisco, the fourth Mets pitcher, earned his second save. Wright helped with a nifty catch in foul ground down the third-base line, then Francisco struck out pinch hitter Matt Diaz with two runners on to end it. Jair Jurrjens (0-1) gave up three runs on seven hits and three walks in 4 1/3 innings. He made the All-Star Game last year, but won just one of his final seven starts and didn't pitch in September because of an injured right knee. The Mets are 22-0 when hitting three or more homers at Citi Field. ... Braves 3B Chipper Jones (left knee) felt fine after an off-day workout Friday. Gonzalez said Jones might play Tuesday in Houston when he's eligible to come off the disabled list. Gonzalez said Jones "definitely" would be ready for Atlanta's home opener Friday vs. Milwaukee. 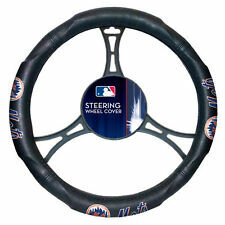 ... Mets CF Kirk Nieuwenhuis struck out on three pitches in his first major league at-bat. He beat out an infield single his next time up and later singled again. He was promoted from Triple-A after OF Andres Torres re-injured his left calf in the opener. Collins said Nieuwenhuis and Scott Hairston each would see time in center.